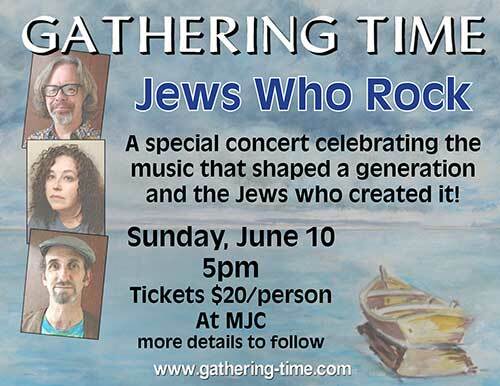 As the old expression goes, you don’t have to be Jewish to enjoy the Jews Who Rock concert at Malverne Jewish Center on Sunday, June 10. You only have to love great rock ‘n’ roll and folk-rock.But Jewish baby-boomers might feel a bit of pride to know how much of the music that shaped a generation and left a lasting impact on pop culture came from members of the tribe. Bob Dylan is a well-known one, as are Simon and Garfunkel. But add to the list Carole King (nee Klein), Arlo Guthrie, Carly Simon, Robbie Robertson, Peter Yarrow, three of the four Mamas & Papas, The Turtles, Billy Joel and Steely Dan, and even “Chanukah Song” author Adam Sandler might be impressed. Tickets are $20 in advance or at the door. Space is limited. 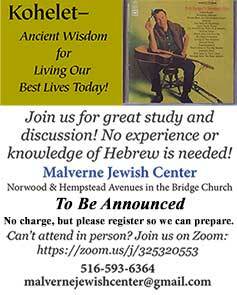 Showtime is 5 p.m.. Malverne Jewish Center is located at 1 Norwood Ave., inside the Bridge Church building on the corner of Hempstead Ave. in Malverne. For information on Gathering Time including live performance video, see www.gathering-time.com.